Join us on the Pence Gallery patio for our last event of the season. Lynn Freed’s books include seven novels, a collection of stories and two collections of essays. Her short fiction and essays have appeared in Harper’s,The New Yorker, and The Atlantic Monthly, among numerous others. She is the recipient of the inaugural Katherine Anne Porter Award from the American Academy of Arts and Letters, two O. Henry Awards, and has received fellowships and grants from the National Endowment for the Arts and The Guggenheim Foundation, among others. Having grown up in South Africa, she came to the U.S. as a graduate student at Columbia University, where she received an M.A. and Ph.D. in English Literature. She is Professor Emerita of English at the University of California, Davis, and lives in Northern California. 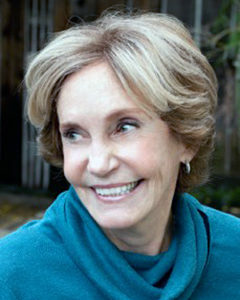 Molly Giles has published one novel, Iron Shoes, and four collections of short stories which have, respectively, won The Flannery O’Connor Award for Short Fiction (Rough Translations), the California Commonwealth Silver Medal for Fiction (Creek Walk), the Split Oak Prize (Bothered) and The Spokane Prize for Short Fiction (All the Wrong Places). She has new and forthcoming work in Bellevue Literary Journal, Foglifter, Juked, West Marin Review, Willow Springs, and Zyzzyva. She taught creative writing for many years at San Francisco State University and recently retired from teaching at the University of Arkansas in Fayetteville. She lives in West Marin. Martha Omiyo Kight will read “Sunshine” by Lynn Freed. Kight has been very active in the Sacramento area theater community for four decades as an actor, singer, director, props mistress, and costumer. Most recently, she appeared in Sacramento Theater Company’s world premiere of the musical drama The Donner Party and the encore of The Musical of Musicals (The Musical!). Her credits in area theaters include Violet Weston in August: Osage County, Mrs. Lovett in Sweeney Todd, Sister Aloysius in Doubt, and Ruth in Pirates of Penzance, as well as leading roles in A New Brain, Noises Off, Angels in America, and The Importance of Being Earnest. Kight has been writing poetry and reading her own and others’ work since 2009. Her poetry has been published in three Sacramento Voices anthologies and featured at Poetry Live Sunday in Placerville. She was also featured reader for Evan Myquest’s “Death Valley Days” and Gene Avery’s “Death by Deer Rifle.” She read Lori Ostlund’s “Talking Fowl with My Father” for Stories on Stage Sacramento in 2010 and Peg Alford Pursell’s work for Stories on Stage Davis. She is glad to return to present this incredible piece by Lynn Freed. Victoria Goldblatt will read “Next Time” by Molly Giles. Goldblatt has been performing for over twenty years. 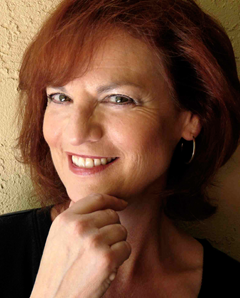 She has done a variety of work, including films, commercials, community theater, storytelling, and voice-overs for TV and radio, along with her show, Cabernet Night with Victoria and Friends. 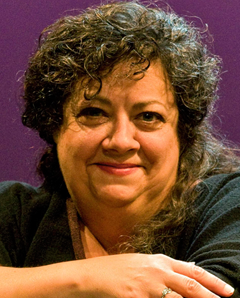 She was the former Casting Director for Stories on Stage Sacramento and was a member of the Steering Committee for the Playwrights Collaborative in Sacramento for over seven years. She is happy to be back performing at Stories on Stage Davis once again!